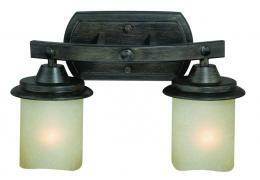 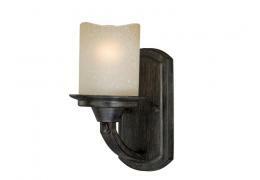 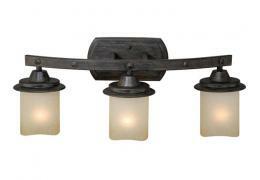 Dimensions: W 32.50" x H 10.50", extends 6.25" inches from wall Finish: Parisian Bronze Number of..
Dimensions: W 32.50" x H 10.50", extends 6.25" inches from wall Finish: Chrome Number of Bulbs: 5.. 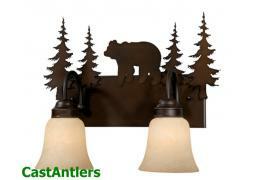 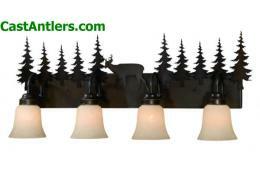 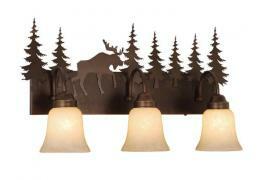 Combinations available: Bear/Pine Trees, Moose/Pine Trees, Deer/Pine Trees, Pine trees Finish.. 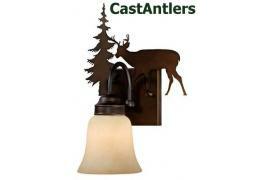 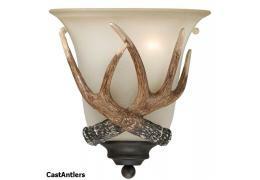 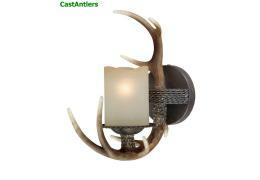 Combinations available: Bear/Pine Trees, Moose/Pine Trees, Deer/Pine Trees, Pine trees Finish: Bu..
Dimensions: W 18.13" x H 7.75", extends 10.75" from wall Additional Lamp/Bulb Information Bulb Ty..
Dimensions: W 5" x H 9.75", extends 6.75" inches from wall Finish: Black Walnut with Cognac Glass..
Dimensions: W 11" x H 8", extends 10 1/4" inches from wall Finish: Parisian Bronze with Clear See..
Dimensions: W 14" x H 8 3/4", extends 7 1/2" inches from wall Number of Bulbs: 2 Wattage: up to 10..
Dimensions: W 9" x H 10", extends 5.5" inches from wall Number of Bulbs: 1 Wattage: up to 60W ..
Dimensions: W 9" x H 10.5", extends 11" from wall Glass: Frosted Glass ..
Dimensions: W 5.5" x H 13", extends 11" inches from wall Number of Bulbs: 1 Wattage: up to 100..
Dimensions: W 22 1/2" x H 8 3/4", extends 8 1/4" inches from wall Number of Bulbs: 3 Wattage: up t..
Dimensions: W 7" x H 14.5", extends 11.5" from wall Glass: Brushed Amber Glass Bulb Type: Medium ..